Take Back the Night is an annual march, held in October during the WSU Week without Violence, which brings together the Pullman and WSU community in solidarity against sexual assault, domestic violence, dating violence, stalking, and all other forms of power-based personal violence. This year the march was preceded by a poetry slam on the Glenn Terrell Mall where survivors of violence spoke out about their own victimization, urging others to advocate on behalf of those still suffering. The march itself, riddled with empowering chants such as, “Yes means yes! No means no!,” winded around campus, up Greek Row, ending near Beasley Coliseum. A short candle-light vigil followed the march allowing participants a moment to reflect on the effects of violence on the lives of victims, survivors, families, friends, and the community. Despite the cold temperatures, many bundled up to support the cause, including our department’s own, Dr. Faith Lutze and Amber Morczek. Amber Morczek (left) and Dr. 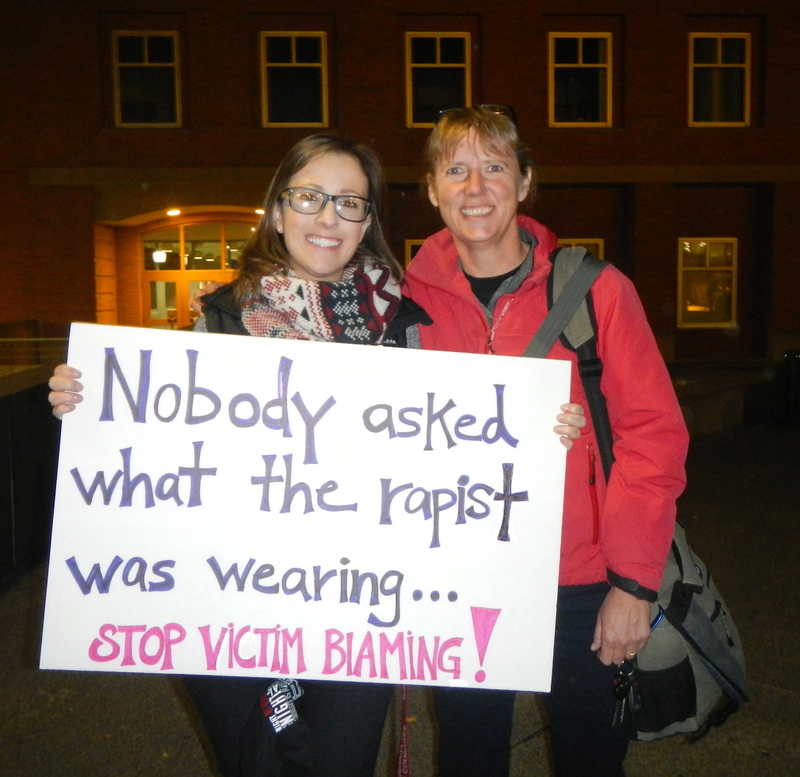 Faith Lutze (right) at the Take Back the Night march.